Donor Memorial Ceremony – Paul L. Foster School of Medicine (PLFSOM) students from the Gold Humanism Honor Society hosted the school’s first Donor Memorial Ceremony this past Monday, April 20. Attended by their family and friends, this touching ceremony honored those who selflessly donated their bodies to the PLFSOM Willed Body Program. As donors, their final role as teacher will forever impact the lives and careers of these future doctors. 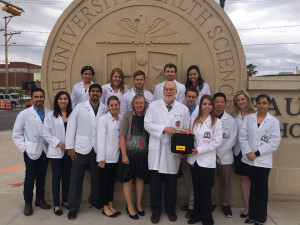 Donation – I want to recognize that PLFSOM first-year medical students, led by Katie Smith, recently raised funds to purchase an automated external defibrillator (AED) for the Medical Student Run Clinic. AEDs are portable devices used to treat sudden cardiac arrest by sending a shock to the heart, restoring its natural rhythm. Raising the funds for this device was no small feat, but it’s a valuable life-saving gift to the community members the Medical Student Run Clinic serves. Great job! 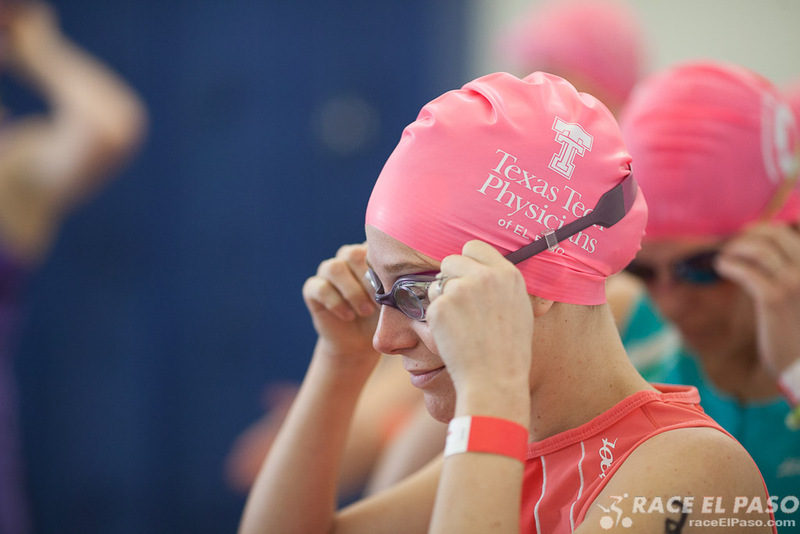 Mighty Mujer Triathlon – This past weekend, we hosted the Texas Tech Physicians Athlete Expo at the Mighty Mujer Triathlon. Texas Tech Physicians of El Paso OB-GYN staff provided blood pressure and blood glucose checks, while our certified nurse-midwives answered questions from participants and their families. Once again, our sports medicine physicians and fellows manned the official medical tent to attend to injured athletes. We also had our share of ‘Mighty Mujers’ taking on the challenge, with one of them taking first place in her age category. Congratulations to Iskra Jacobo – one of our star Information Technology employees — on her big win and to all our athletes for making us proud. Click her to view photos of the event. Award Winners – UTEP pre-med students, who participated in TTUHSC El Paso West Texas Desert Mountain Area Health Education Center (AHEC) programs as high school students, were recognized at last week’s Texas HOSA (Health Occupations Students of America) State Conference. Elizabeth Penner placed second for her extemporaneous writing piece entitled “Why You Want To Pursue Health Care.” George Salas, Valerie Favela, Jose Villanueva, and Carol Cleetus placed third for their public service announcement on concussions. I want to congratulate each of these students for their performance at state-level and for continuing their paths towards a career in health care. STEM Fiesta 2.0 – On May 18 and 19, STEM Fiesta 2.0 takes place at UTEP. TTUHSC El Paso faculty and staff are involved in this unique, multidimensional event for high school and middle school students. This event increases their awareness of STEM (Science, Technology, Engineering and Mathematics) opportunities in education and careers, as well as introduces them to regional and national STEM role models. Approximately 1,500 students are expected to attend. Our very own Susanne VanWeelden, senior director in the TTUHSC El Paso Department of OB-GYN, is not only a chair and judge of the STEM Challenge taking place at the event, but will also present the workshop “STEM Jeopardy – Careers in Health Care.” For more information on this event, email mike.acosta@borderplexjobs.com.